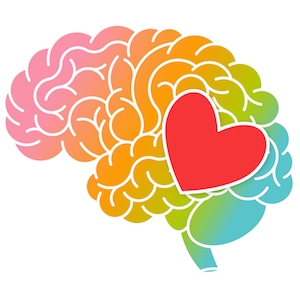 These DAILY growth mindset activities are perfect for teachers who are looking for quick, easy to use, information-packed daily growth mindset instruction. 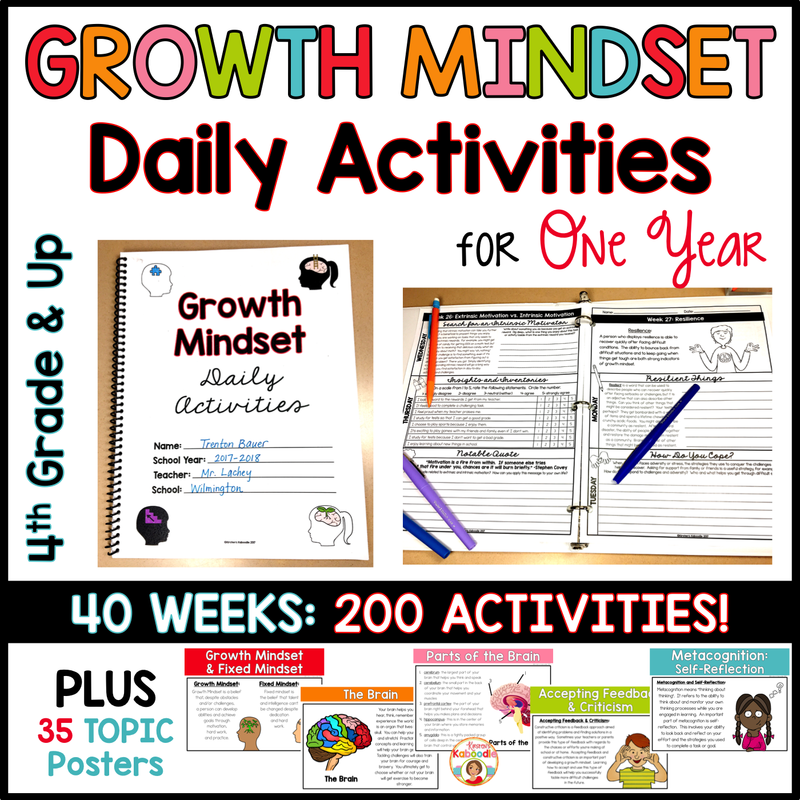 These 200 activities, which span across 40 weeks, will give you everything you need to teach your 4TH GRADE AND UP classroom about all things growth mindset! 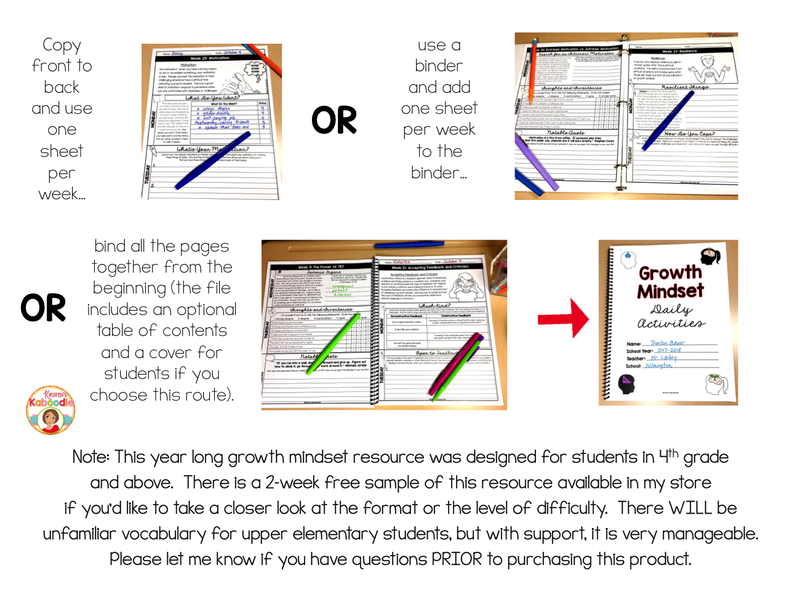 *This product also includes 35 posters for a bulletin board that explain each topic above. 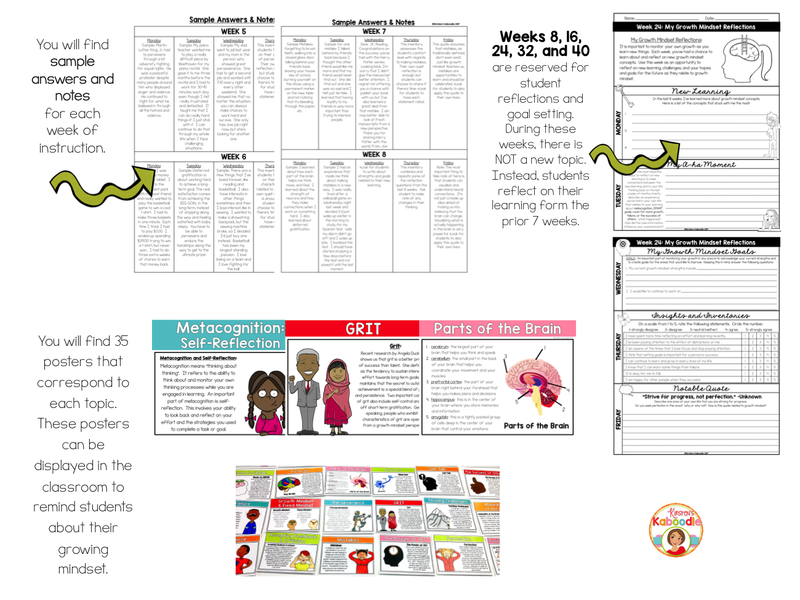 A pre-assessment and a post-assessment are also included as well as sample answers or notes for each activity. 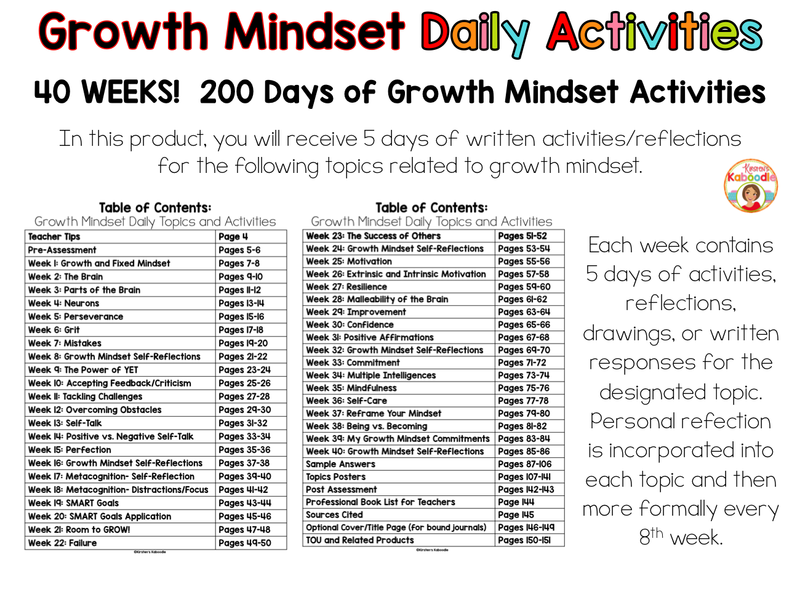 The growth mindset pre-assessment and post-assessment are designed as reflection tools. 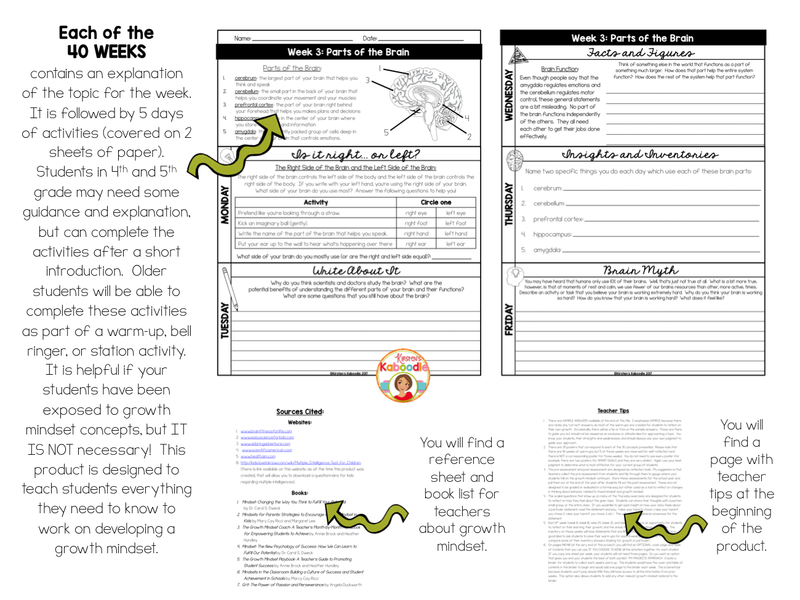 These are not designed to be graded or evaluated in a formal way, but rather used as a tool to reflect on changes in thinking and behavior (most of the questions are the same so that students have a clear way to compare shifts in their thinking). This file contains 186 pages.